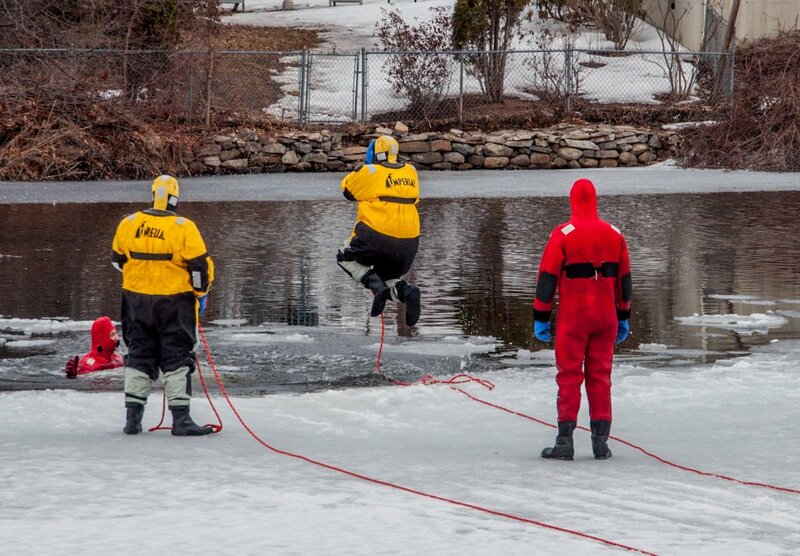 The Sanford Fire Department was practicing ice rescues today and we just happened upon them and being a fearless 365er I asked if we could take pictures and post them. Loved him jumping in the water. More pictures may follow. I'm freezing just looking at it!!!! Oh brrrrr! But bravo to them for training to stay on top of their game. That is so cool that you caught him in the air! Fabulous find. Good for them. Great timing - hope you were dressed warm just to watch this! Great shot at the right time! What great timing! God bless them! Love how you froze the action... pardon the pun. I can't even think of jumping in there!! Well I suppose if you have to get in, it's best to make it quick! Good action shot. I missed this one until I saw today’s. This is great. Such a good catch for you - and such dedication from the Firies!